To cheer myself up I decided to write about my Top Family Festivals of 2014 and remember some of my most special moments last summer while on the road with Festival Kidz. 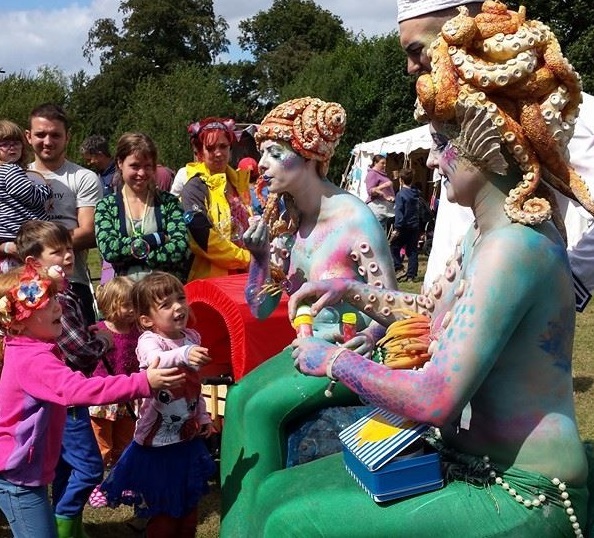 Hope my top 10 festivals for families help if you’re looking for somewhere to go this summer. Wood – Oxfordshire – May A tiddly little festival of just 800 people but great value and a super relaxed weekend run on 100% renewable energy. Great activities for kids and due to the small size you can allow children to be free and to explore without worry. Elderflower Fields – Sussex – May More than a festival it’s about getting back to nature and experiencing the great outdoors with your kids. It offers a relaxing camping weekend while your kids have the chance to try new sports, arts and other activities. Less about music and dancing and more about discovery and adventure. It’s a rare opportunity for kids to enjoy the freedom we had as children. 2014 review. Three Wishes Faery Fest – Devon – June Celebrate the summer solstice in a magical setting with stunning views and gardens at this enchanted event. If your little ones like fairies and magic then this is a must visit. Lots of alternative music with a very Celtic, folky feeling. Pixie ears a must! Under 7′s are free. Blissfields – New Forest – July A mid sizes festival with a relaxed vibe and a friendly crew. Great selection of music and exceptional activities for kids including pony rides, cookery workshops and old fashioned family sports day. 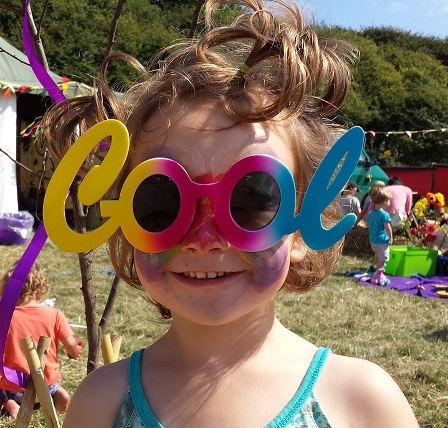 Chilled in a Field – Sussex – July Another gorgeous small festival with less than 1000 guests. Situated at Bentley Wild Fowl and Motor Museum there is a miniature train, vintage cars and some great wild life to discover with a really relaxed vibe and easy weekend of camping at a really nice site. Larmer Tree – Wiltshire – July Set in stunning gardens with wandering peacocks, beautiful pagodas and fluttering butterflies, Now celebrating 25 years, Larmer Tree is a really easy festival with plenty for little ones as well as adults and teens. Womad – Wiltshire – July Has a special place in my heart as we spent our early festival years visiting at it’s original home of Reading. It’s a biggy now and we’re not keen on the sponsorship and number of market stalls these days, but for world music, arts and dance you can’t beat it. So much to discover and a feast for kids imagination. Green Man – Wales – August A stunning Brecon Beacons site with the option to extend your camping all week. Now established as one of the most family friendly BIG festivals with regulars returning year after year. They haven’t sold out to sponsorship and remain a ‘true festival’ with great eco credentials, and due to its size many added bonuses for older kids like Science and Literature. Great value considering what’s included with under 5’s free and older kids just £5. Just So Festival – Cheshire – August If you’re new to festivals this is such a perfect introduction. 3000 people it’s relatively small and low key but perfectly formed. Late night partying it is not, but there is plenty to keep the family entertained with an excellent Arts, Music and Theatre programme. Everyone is made to feel part of the celebration with a tribal tournament that the kids loved. Great value and amazingly cheap beer! Just So Festival review. Shambala – Northamptonshire – August Our personal favourite and probably as big as a festival needs to be for us. A crazy weekend and not for the wall flower, Shambala is about getting stuck in. They are the first festival to ban plastic bottles and in 2015 where 100% powered by renewable energy. AWESOME! The kids love watching grownups behave like children with non-stop fancy dress (my review here), jelly wrestling, human fox hunting and plenty of other Shambaholics. Although we didn’t go to every one of these this year, I’ve had expert feed back from festival veterans over the summer. A sum of 50 years experience between us! These are just my best festivals for families. I know some of the bigger, more obvious festivals are not included here but hopefully you will find those easy to get info on. I haven’t included festivals that have dreadful eco credentials, sold out to mass sponsorship or end up covered in rubbish at the end of the weekend. Although other festivals are fantastic, those elements are not things I want to bring my kids up around and sustainability is really important for me. We have spent 20 years going to festivals and now prefer the smaller events as they offer the best value for money, a more relaxed weekend and are just easier with kids. Glastonbury and other biggies are amazing. Our kids love theses too and I’d always recommend giving them a go at least once with your family. Just be prepared! 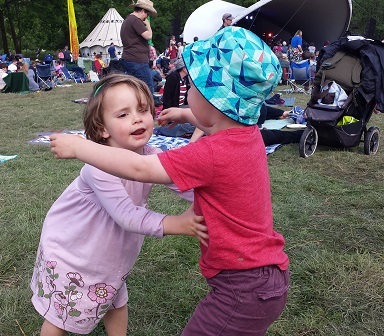 My top tips for taking kids to festivals here. Every event has its own merits, these are just my top festivals for kids. I’d love to hear about yours. For more reviews and info on festivals check out Festival Kidz. 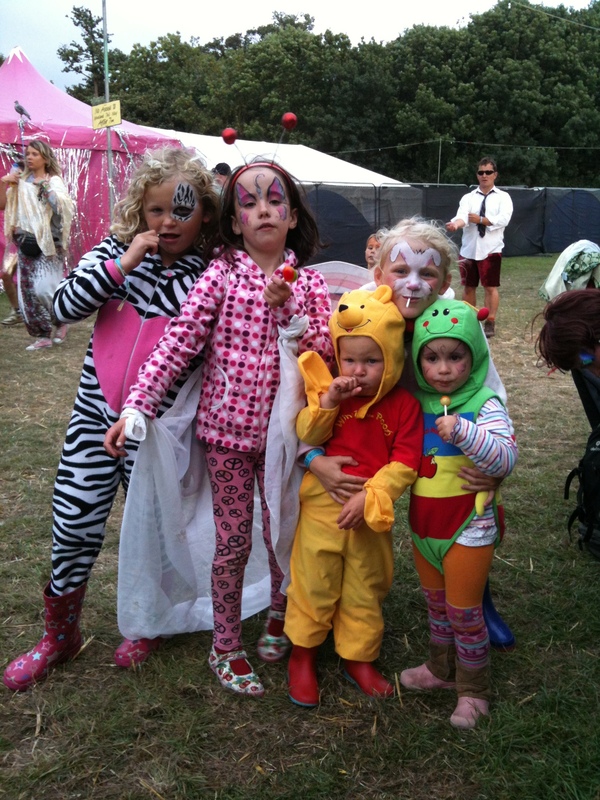 We love Camp Bestival too and have worked there for many years in the past with our kids. Last time we went there were just a few too many temptations for pester power for me as I don’t like to constantly say no. But mainly it’s just too big to let my kids explore on their own which is a real bonus for us now. My 9 year old is far too cool to want to hang around with her parents all day! Give it a go. It certainly has the edge for us. Just crazy enough. 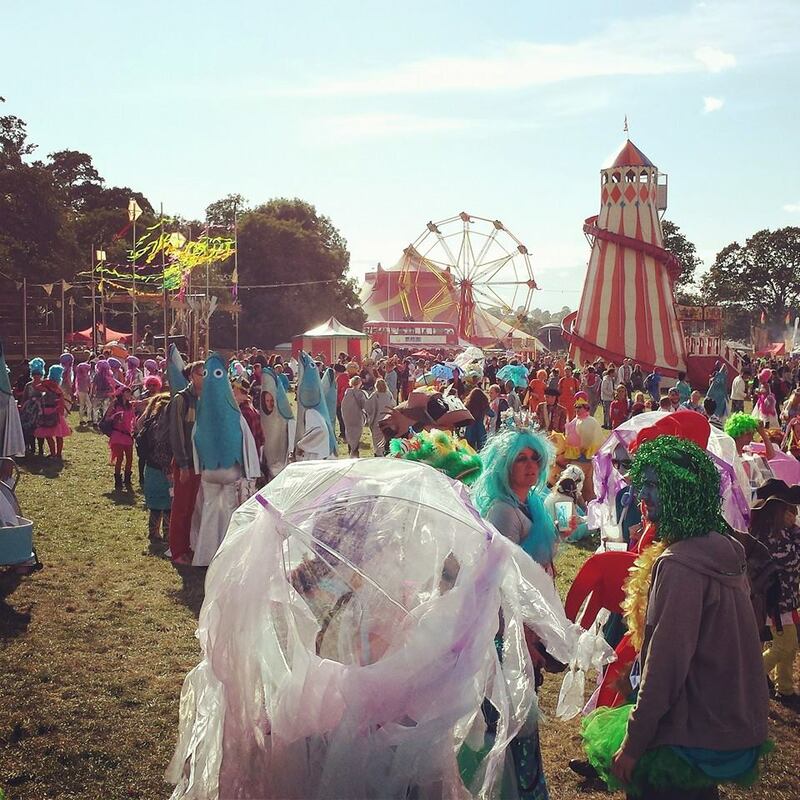 We took the kids to Secret Garden Party this year too which was seriously awesome. Kids loved it and I quite liked the fact that it wasn’t over run with little people (although I did feel like the only person over 30). Proper bonkers though and not aimed at families at all but great fun. Get in there quick what ever you fancy. Shambala sold out in record time last year. Have fun! We’ve none of us ever been to a festival. Maybe we should start this year. I like the sound of a festival that isn’t too commercial. It’s great to see a mention of Chilled in a Field Festival. We are keeping it small in 2015 based on festival goers feedback and reduced priced tickets are almost sold out, so if you’d like to come and join us, do book soon! We can’t make Chilled In a Field this year as will be driving to Spain but hope to be there in 2016. Save us a camping spot! Thanks very much. Best of luck and happy festivaling. What a fantastic page. I didn’t realise there were so many festivals for families. Thanks.